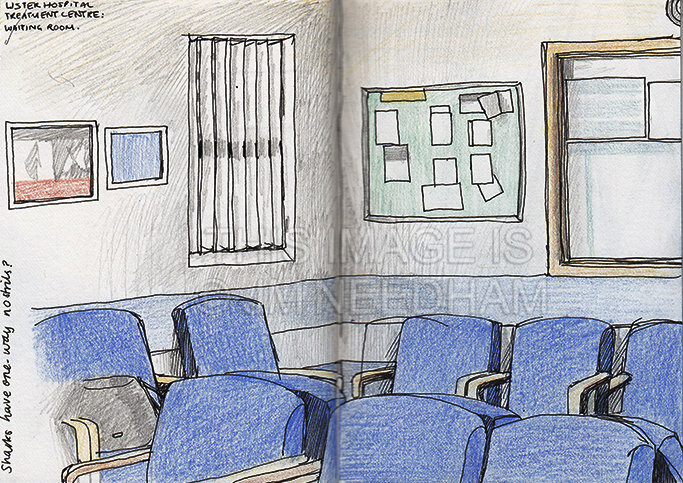 Drawn at Lister Hospital. I learned some shark facts while listening to the tv droning on in the background. Pen and coloured pencils.